Donna Barksdale is a Mississippi native and the wife of Jim Barksdale. Ms. Barksdale holds a bachelors degree in psychology and English and a masters degree in counseling with postgraduate work in testing. She is a former businesswoman who manufactured in China and Mongolia but who is passionate about growing Mississippis future. 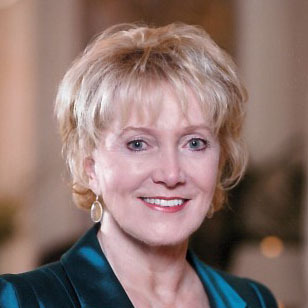 She dedicates her time to working with charitable organizations, including the Barksdale Reading Institute, Americas Promise Alliance, the Womens Foundation of Mississippi and others. She is the chair of the board of directors of MississippiToday.org, a nonpartisan digital news organization devoted to accountability journalism. She is also chair of the board of trustees of Nunoerin, an interactive customer experience company.